London, UK, 27th March 2019: CPLG has bolstered its teams in Benelux and the UK with two new appointments. 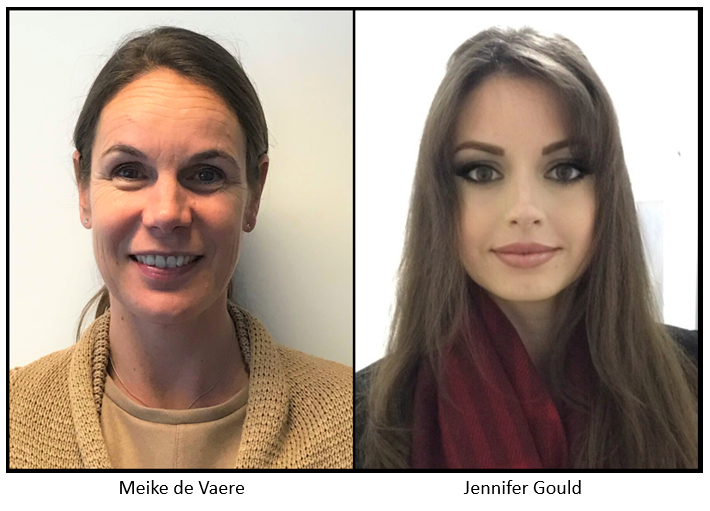 Meike de Vaere has joined the CPLG Benelux team as Retail Director for the region, reporting to Brenda Draaisma who was recently named General Manager of Benelux. Meike worked at CPLG Benelux from 2008 to 2010 as Retail and Marketing Director, before moving overseas where she held numerous marketing and sales roles, including Marketing & Sales Director for Rituals Cosmetics USA and consultant at global food production company, Parabel Food. Now based out of Amstelveen, Meike will be working closely with retailers across the Benelux region to maximize the CPLG portfolio with a focus on the key fashion sector. Jennifer Gould has joined the CPLG UK team as Brand & Retail Manager, reporting to Stacy Scimia, Category & Retail Director. Jennifer joins from Global Icons where she held the role of Brand Licensing Manager, working across a variety of brands, including Ford, Emirates, Southern Comfort and Vespa. Based in London, Jennifer will work closely with the UK sales teams to build new and existing retail channels and explore brand partnership opportunities across the portfolio. CPLG (www.cplg.com) is one of the leading third-party licensing agencies, managing consumer products programmes for some of the world’s best loved properties across lifestyle brands, entertainment and classics. CPLG has offices in the UK, Benelux, Nordics, France, Germany, Italy, Spain, Sweden, Poland, Middle East, Greece & Turkey, the US and in Russia through its joint venture, CPLG Pullman. The company also has a strategic alliance with the Tycoon Group, the largest licensing network in Latin America. Owned by DHX Media (www.dhxmedia.com) a leader in the creation, production and licensing of family entertainment rights, CPLG has more than 40 years of experience in the licensing industry. It provides each of its clients with dedicated licensing and marketing industry professionals and a fully-integrated product development, legal and accounting service. CPLG believe that collaboration is about clarity, openness and trust, and is widely known for its no-nonsense, straightforward approach – Expert Common Sense.